Earlier this week, I blogged about how Amazon has harnessed social media to help achieve gigantic revenue success.But of course, their success is not simply down to great engagement with their target client community over social media. World leading tech futurist and innovation expert, Daniel Burrus, calls Amazon’s secret weapon ‘being anticipatory’. When you think about it, it’s a mindset shared by most disruptors and innovators. Amazon, though today a monolith and continuing to be the largest and most innovative leader in the ecommerce market (amongst others), still acts in many ways like a startup on an unapologetically rebellious quest for ‘what next’. Now that’s something that I, and all my team mates @elXtr can relate to. So Burrus’ article on Amazon and the vast benefits of having an ‘anticipatory business model’ caught our attention. Because while Amazon continues to grow at an exponential rate and seems to have a near magical knack of choosing the best new markets to leap into, a number of its competitors are announcing large redundancy programmes and closing down operations. The linked article is an engaging and easy to read case-study of how by contrast to many of its innovation peers, including Apple and Microsoft, Amazon has been able to be anticipatory by identifying the hard trends that will happen, and then innovating on the basis of this knowledge to steal a march on everyone else. I’d encourage you to read it. 1. better capture and use your own data to make the consumer experience more relevant and personalised, so that you can target your customers with what they want, at a time they will want it, even if they didn’t know they wanted it until you brought it to their attention. Most of us are not using our own data anywhere near as effectively as we could. It's such a rich source of insight and opportunity that we miss by not recording and better analysing the data available to us . 2. make it impossible to say no to you, whether that’s because what you’re offering is so beneficial and so accessible that it’s ‘a no-brainer’ to not acquire it, or because everyone else has it and you’re missing out by not being part of ‘the same club’, or for other reasons. Don’t be afraid of free or cheap, if it can optimise your prospects of audience penetration and provide you with an established platform from which you can continuously sell your more premium products or services to loyal, repeat customers. 3. think big. Two very simple words. We all make the execution of them so complicated and long-winded that we rarely achieve them. So think big and stay big. How many times have you heard the resigned observation that by the time a ‘big idea’ has gone around all the various ‘essential’ stakeholders in a business it looks nothing like big, or indeed nothing like the idea that it was? A far lesser, diminished proposition is the eventual outcome, on which however, rather perversely, we often continue to pin our original aspirations and requirements for growth. These are all strong anticipatory questions that help refine what you offer to whom and when. 5. Amazon doesn’t compete or imitate – something that we noticed very early on. It is the trend-setter and disruptor, never the copycat. So it isn’t looking to its peers (if indeed it really has any) for the next solutions or big expansion ideas. And yet many of us are guilty of doing just that. The question we were most frequently asked by just about everyone we talked to during our planning and designing stage for our new brand was: ‘who do you most want to be like?’ A question which was then met with confused disbelief when our answer referenced Deliveroo, Uber, Netflix and other entirely non-legal role models. They also don't start out by trying to be everyone else or to white label their suppliers. They don't compete because they sit outside the competitive arena. In fact, they own the arena. Why be a gladiator when you can earn a lot more money from being the venue owner? It's an approach that we've also admired amongst the sharing economy disruptors: the Ubers, Deliveroo's and the AirBNB's etc. Own the platform, be the gateway to all the fantastic components. Don't waste your time, money and efforts trying to own each one of the components. Lovely though these restaurants, venues, types of car are, at some point, what they are will fall out of fashion. So hedge your bets, like Amazon, by not having to worry about that. Offer what's in demand, when it is demand and empower your customers to decide when it is not; at which point, remove what is no longer popular and offer the new next big thing. 6. Keep looking at customer pain points – throughout the supply chain, there may be opportunities at all levels, not just the segment on which your business might traditionally have focused. And don't just look once, keep looking, regularly. Allow your customers to change you as they change themselves. If you're regularly watching what they're doing and listening to what they say, this actually isn't so hard. Amazon is an ace at this. 7. 'Fail fast to learn faster'. Great advice from Burrus directly in his examination of how Amazon deals with new products and services. It is more than willing to push boundaries and challenge norms, but also swift to recognise when something is not going to work, to share the learnings amongst relevant teams and colleagues and then to rapidly move on to the next innovation project. 8. Connect your customers. Empower them to engage with each other through you, even if that’s only so far as posting reviews and informing each other of their experiences, (although there are potentially many other exciting and beneficial opportunities for these kinds of networking connectivity too). This approach can also be a valuable additional window on to your target audience and what it is thinking. I believe Amazon’s real secret is not in being agile, which suggests a reactive, rather than proactive and anticipatory approach to the design and progress of its business. Instead, what Amazon is doing brilliantly is looking at the future with tomorrow’s eyes, while much of the rest of the world is still looking at today with yesterday’s eyes. I don’t know about you, but my eyes are definitely feeling a bit different after having read Burrus’ article and given it some thought. Amazon is bucking the current trend by surging ahead of the competition and many technology giants. 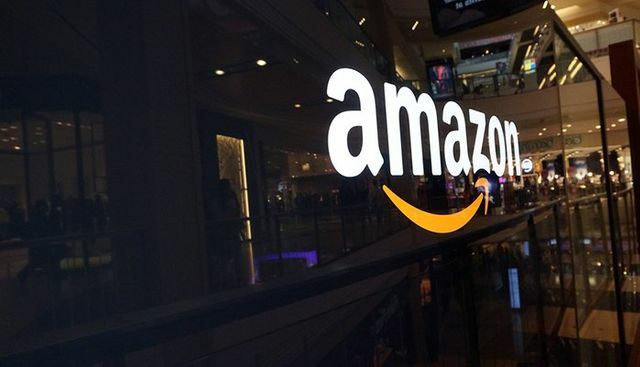 However, many of the media outlets reporting on Amazon’s success across the globe fail to understand exactly how and why the company not only achieves continuous growth but also seems to select the best new areas to jump into. Leaders within the retail industry desperately want to learn the secret to Amazon’s success, but all too often they repeat the same old mistake of paying more attention to the competition than to the forces that are shaping the future.